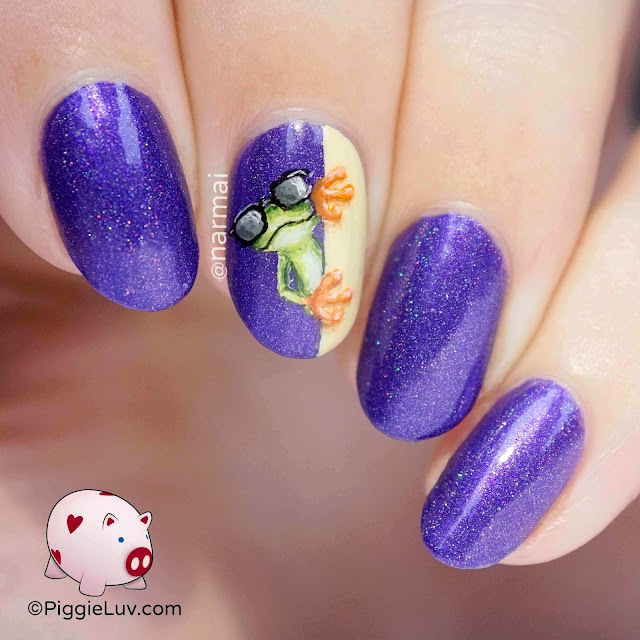 Watch out for slickster frog! Behind those sunglasses, he's hiding his hypnotic eyes. Take a look at the video tutorial at your own risk :-p Click to see more! I painted the frog and all of its assets with acrylic paint and my Roubloff 00 detail brush. His glasses walk the line between nerdy and cool. But nerds are the trend so hey! 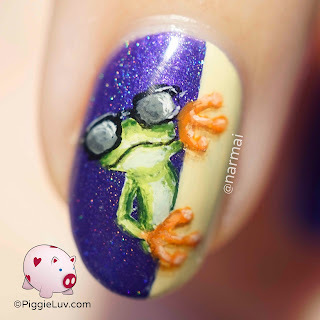 This frog has got it going on! For the base, I used Paws by Eddie Da Firenze. I got it as a box exclusive in the September Nail the Mail box. Unfortunately the box has been discontinued... And I can't really find any Paws by Eddie being sold anywhere anymore and their social media have gone quiet... So I guess there's no place to purchase this beauty anymore! I'm sorry, I feel like such a bad blogger for dangling it under your nose! 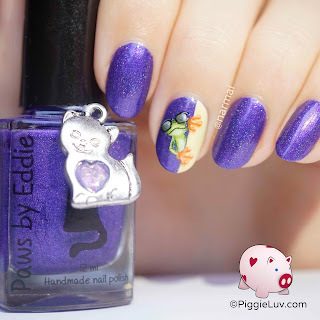 I received Paws by Eddie Da Firenze as a press sample in the September Nail the Mail box. Opinions expressed are 100% my own and not influenced in any way other than the quality of the product itself.